HomeAll RSSWhat is the Doomsday Scenario at Homestead? This has been a very intriguing NASCAR season in my opinion. There have been flashes of great racing here and there but it seems like every time NASCAR gets some positive momentum something bad happens. Will this trend continue for the season finale this weekend at Homestead? The season started off with a bang at Daytona with a few late crashes, including a last lap melee where Aric Almirola, who was leading at the time, got spun off the front bumper of the RCR No. 3 car of Austin Dillon who went on to win the race. Many fans were happy to see the iconic No. 3 back in Victory Lane at Daytona. Rookie favorite Bubba Wallace came home in second in Petty’s No. 43 Chevrolet. Then we had the whole back windshield trickery debate just a couple of weeks later. This cycle replayed itself several times throughout the 2018 season. We had an All-Star Race that got rave reviews across the board with an updated aero package. While not perfect, it was arguably the best All-Star Race weekend in many years and the fans and media were pumped up. 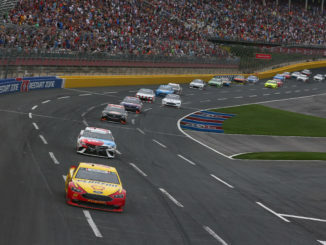 Then the following week the Coca-Cola 600, ran under the 2018 rules package, produced a grand total of nine lead changes with a margin of victory of nearly four seconds. Or how about the Go Bowling at the Glen race in August that saw Chase Elliott get his first career NASCAR Cup Series victory? 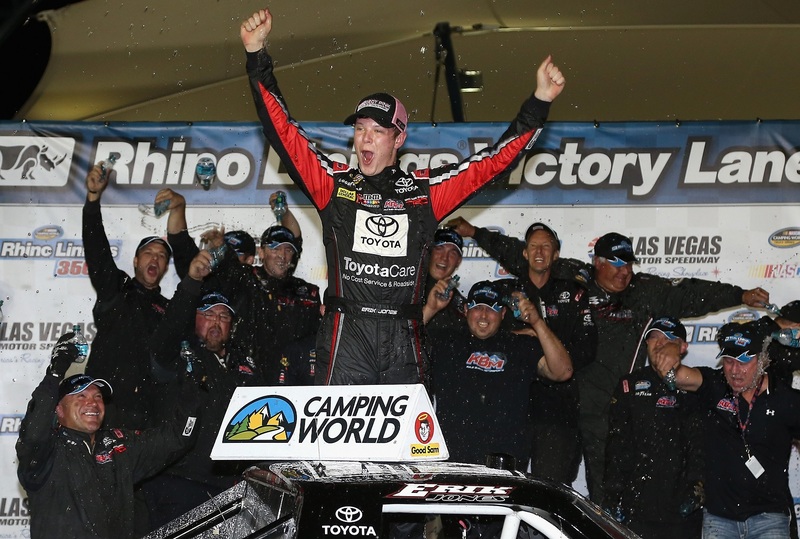 It was a hugely popular victory among the NASCAR faithful and everyone was buzzing about the race. That is until news broke the next morning that NASCAR Chairman and CEO Brian France was arrested for DWI and criminal possession of a controlled substance after an incident Sunday evening. Following the AAA Texas 500 earlier this month NASCAR announced that Kevin Harvick’s winning car was found to be in violation of the rules due to an illegal rear spoiler. The win was not taken away from Harvick but the win would not count towards the playoffs and the team was docked an additional 40 points. 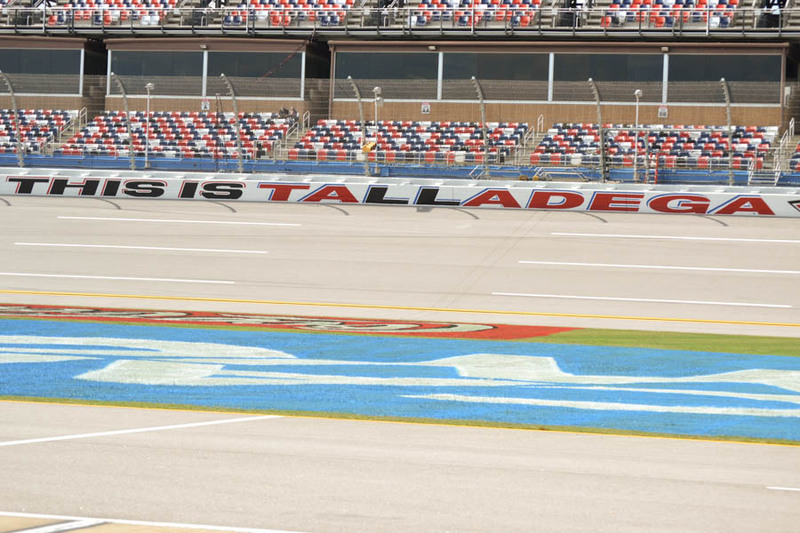 Fans have become disgruntled the past couple of years with NASCAR doling out penalties several days after a race, oftentimes penalizing a race winning car. Teams keep pushing the boundaries further and further looking for that extra 0.00003 seconds worth of advantage on the track. The last race at ISM produced some crazy racing and a lot of drama to see who would actually advance to the Championship 4 at Homestead. Kevin Harvick’s flat tire early in the race added a lot of drama and excitement. Then Clint Bowyer, who was having to try to race his way into the Championship 4 by winning at ISM, cut down a tire and pounded the wall ending his day. It looked like Kurt Busch or Chase Elliott may have had a shot at making it to the finale before a late race crash that sent Busch into Elliott after contact with Denny Hamlin. After all of that Aric Almirola had a shot to make it to Homestead with his chance at a title but came up just a bit short. NASCAR has a lot of momentum after a crazy ISM race but it seems like all year the pattern has been that something good happens and then something bad happens. 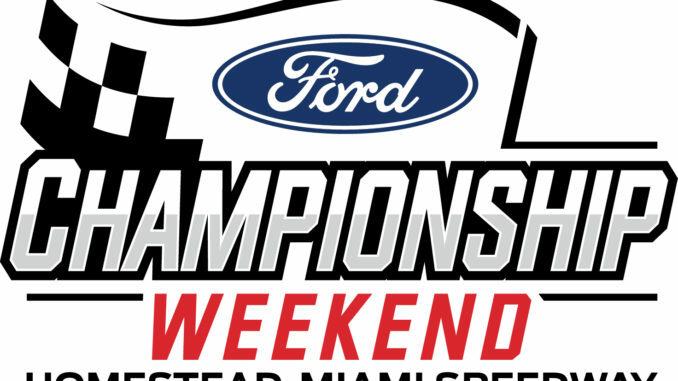 Maybe NASCAR can avoid the misstep at Homestead but there are two scenarios that would be absolutely crushing for NASCAR this weekend. Scenario #1: One of the four drivers wins a competitive race and is found illegal afterward. Wouldn’t that be a kick in the pants? For the season to seemingly end with a driver edging out his three competitors only to find out after the fact that the car is illegal? Scenario #2: The Championship 4 all get taken out in a crash together. Now, if this happened with a few laps to go people would still likely be on the edge of their seats and talking about this until Daytona in February. But just imagine the four drivers vying for the title wadding them up and crashing out on lap 30? Then the “drama” would be which team can repair their car enough to beat out the other three. Yikes! The likelihood of either of these happening are very slim but NASCAR does seem to have something good happen, something bad happen, rinse and repeat. Bad’s up, and I’m sure NASCAR is biting their fingernails hoping that they finally catch a break.